​"Sagit presents music for children in a unique way. Rather than teaching them songs through memorization of words and notes, she takes advantage of children’s natural curiosity and draws them into her world of sounds, rhythm, beats and notes. She offers time and space to engage in the music and the children feel safe and comfortable learning with her. The children are curious about her instruments, are eager to sing and move along with her music. Her knowledge of Jewish music is a plus for us!" 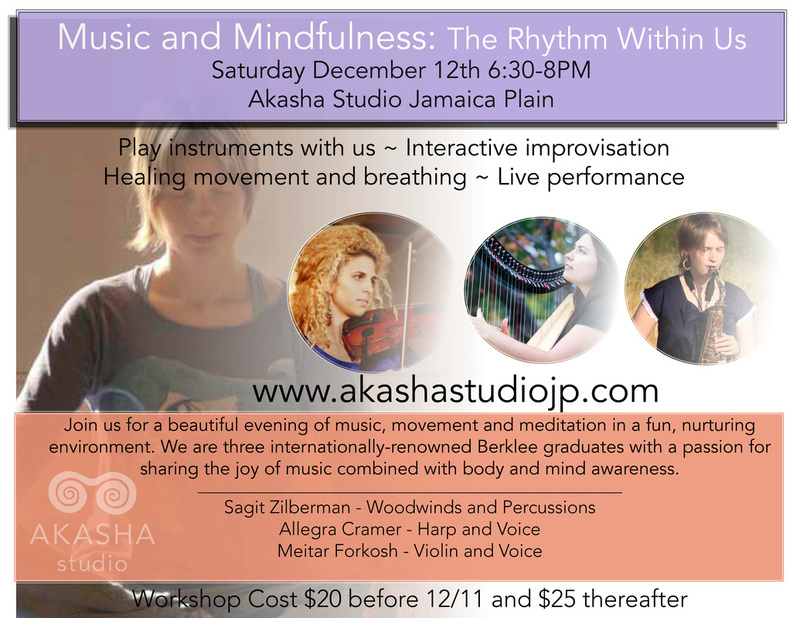 ​integrating music, visualization and imagination in a fun playful experience for better physical and mental health all-round. ​"I really enjoyed the space and environment Sagit facilitated, especially the questions she asked. Overall it gave me faith in finding open, childlike activities again like the ones we had that I have seriously missed since childhood. I was happy to be there." - - Geoffrey Young, Berklee Student. ​"Be your self, keep up with your own pace, not those faster or slower, but your own pace. Trying to compare or be like others will just waste the chance to being like you. We are all unique individual that nobody can be like us and no way we can be like others, so be yourself. Observe yourself, your emotions, your body languages. then make a decision for your emotions and attitude.Don’t judge the day by its weather.Since you have a choice for yourself. Be positive, be confident, be proactive.the only person stopping you to be yourself is you. So take back control of yourself!" - Weijun Yang, Berklee Student. 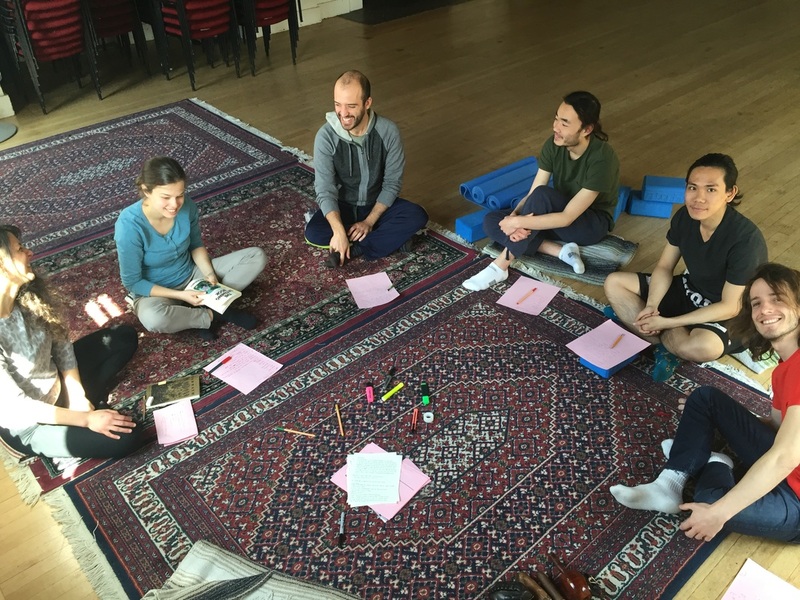 ​"I am excited to continue to enact Sagit's exercises for higher awareness, focus and becoming more grounded at my job and in my personal life. Highly recommended class" - Philip Landrum, High-school student, Roxbury. 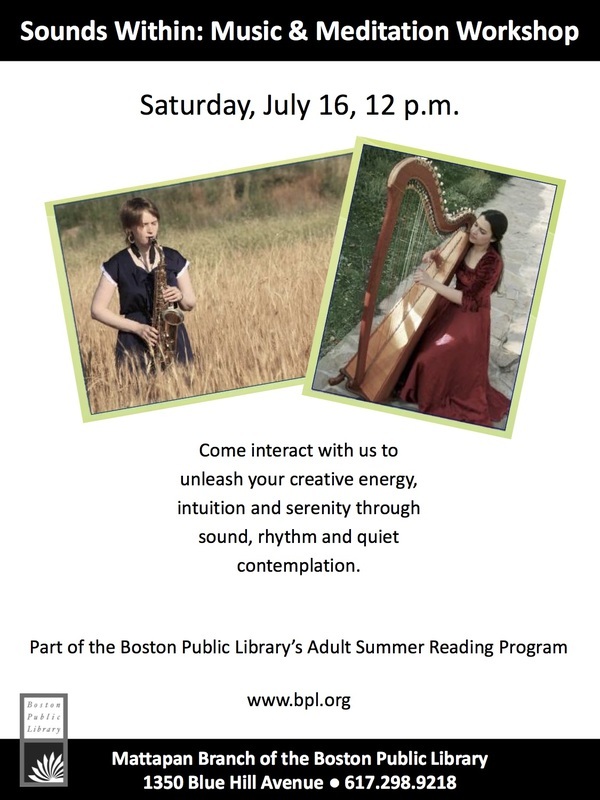 ​The workshop has toured at: Dudley PL, Bethel Farm NH, Rogerson Communities, Corner Fields PL, Upham's Corner Center, Faneuil Hall PL, Mattapan PL, Roxbury PL.